Debeljaci is a catholic populated village, located in the northwest region of Bosnia and Herzegovina, near the border of the Bosnia's second largest city of Banja Luka. You can find Debeljaci on the following coordinates 44° 44' 20N of our planet "EARTH". People of Debeljaci depend on forestry, agriculture, and farming activities, and have a high reputation in these fields. It is also analyzed and proven that in the Bronze Age two caves were used in the area along the lower course of the Vrbanja River. Hajducka Cave was the temporary or occasional habitat of people who had settled this area in the late Bronze Age. Mišarica Cave was used for religious purposes. The bronze axes that were found next to a spring of water in the final section of the cave were votive gifts to the Gods of the underworld and water. Read more about the caves of Debeljaci here. The railway that goes through Debeljaci joins the city of Banja Luka and the city of Doboj. The nearest train station is located by the small town of Vrbanja. Vrbanja River is the right stream of the river Vrbas and it floats through Debeljaci. Debeljaci had following population statistics on March 31, 1991. Population statistics of the town Debeljaci in 1991. You can obtain more information on the population of Bosnia and Herzegovina here. In the time of the Roman Empire, the iliric tribe "Mezeja" populated today's region of Debeljaci. The Romans built the most significant highway from Split (Salone) to Nova Gradiška (Sevitium) at this time. Many fascinating artefacts found in the region of Banja Luka, prove the existence of the Romans in the early age. Romans also discovered the healing powers of the pure natural water that can be found on the many water springs in this region. They also built the cultural and historical monument that can be seen in the center of the city, fortress "Kastel". After the determination of the Roman Empire, by the end of the sixth and by the beginning of the seventh century, this region was populated by the old Slavic tribes. The city by the Vrbas River (Banja Luka) was mentioned in the old monuments in the year of 1320. In the year of 1494, Croatian-Hungarian king Vladislav II completed the duties for the people living in the fortress "Kastel". In the year of 1582, Turkish troops occupied the city of Banja Luka. During the Osmanic Empire, the Turks built many Islamic religious structures of significant cultural and historical importance. One of the most recognized mosques built were Ferhadija, Arnaudija, and Sahat Kula. During the civil war, Serbian criminals and Serbian military forces totally destroyed all of the Islamic cultural structures and monuments which were more than 420 years old. Osmanic empire ruled for more than 250 years on the grounds of Bosnia and Herzegovina and it had a considerable impact on the appearance and the structure of the city. Austrian and Hungarian troops came in the year of 1866 to Banja Luka and were awaited with none resistance from Bosnian people. At this time city got its first telegraph and railway that was connected to Dobrljin. In the year of 1870 Catholic Franjevci constructed the monastery Trapisti, corn, beer, and brick factories, fabric and texture facilities, hydro center, and industrial machinery to make dough, pastry and well known cheese of Trapisti. Austrians built bridges and highways, and connected the railway to Vienna and Budapest in the short amount of time. In 1914 the World War I started and the Austrian-Hungarian regime came to an end. At the end of the World War I, in the year of 1918, Debeljaci and Banja Luka belonged to Vrbas Banovina, a province of the Kingdom of Serbs, Croats and Slovenes. In the year of 1939 the World War II began, and the kingdom dissolved. Debeljaci and the city of Banja Luka belonged to the Croatian Independent State from the beginning of the World War II to the end of the war being the April 22, 1945. After the end of the World War II, the city Banja Luka and the surrounding region belonged to the republic of Bosnia and Herzegovina which was governed by the communist leader Josip Broz Tito and the communistic regime of the Yugoslavian state. In 1969 and 1981 Banja Luka and Debeljaci experienced the most difficult times ever, the earthquakes that destroyed the city totally. The brutal vibrations changed the shape of the city dramatically. Bosnian Vrbanja, Čelinac, Debeljaci, Presnače and Rebrovac. In the year of 1981, the people of Debeljaci and Presnace built the church of "Sveta Mala Terezija" ("Saint Therese of Lisieux"). Three years later the church was proclaimed as a Diocesan shrine. On the grounds of the parish are two very old cemeteries, one in Debeljaci with the chapel from the apostle St. Jacob, and the other in Rebrovci, with the chapel of St. Anne, beloved shrine from immemorial time. In the early 80's all to the 90's the people of Debeljaci and Presnace participated every year in the diocese tournament with the church choir for "Zlatna Harfa" (Golden Harp). They also officially formed the "Kulturno Umjetnicko Drustvo Debeljaci" on June 29, 1975, which is a folklore group that represented the culture of people of Debeljaci. The folklore group had a unique national costume and was attending many folklore tournaments in the ex Yugoslavia. The communistic regime ended in the year of 1991, when the civil war began. During the civil war mostly all Catholic and Islamic population was forced to leave the town of Banja Luka and the surrounding areas which were controlled by the Serbian military forces. In the beginning of 1992 until the Dayton Agreement, Serbian military, criminals, and many Serbian civilians discriminated physically and psychologically the Catholic and Islamic population in the region of Banja Luka. In August of 1995, during the Croatian Storm, Serbian refugees came to the Serbian controlled region of Banja Luka, and for this reason Croats and Muslims had to leave their place of origin. In the Banja Luka region, during the civil war, 41 churches were totally destroyed, 24 churches experienced major damages, 19 were damaged and need minor renovations, and 21 were robbed from inside out. On the May 12, 1995 the church of St. Theresa in Presnace was bombed and destroyed totally. The parish house was burned, and the priest Filip Lukenda, born on May 1, 1943 in Barlovci, and nun Cecilija Pava Grgiæ, born on October 22, 1952 in Dubrava near the town of Teslic, were physically abused, tied and burned together with the parish house. The church was constructed in 1981. Armed Serbian civilians and Serbian military damaged the concrete with the firing bullets from the near by passing train in 1992. 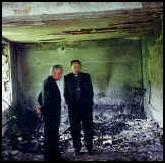 On May 12, 1995 Serbian forces burned and destroyed the church with massive explosives. The parish house, built in 1975, was damaged on May 25, 1993, and on May 12, 1995 they burned the parish house down with the priest Filip Lukenda, and the nun Cecilija Grigiæ inside (BK BIH) They have stolen everything that was undamaged. In the parish region the labels on the graves made out of fine stone were also stolen, and the chapels of St. Jacob and St. Anne experienced major damages. The large cemetery cross on the grave yard of St. Jacob was demolished by the Serbian forces. Priest Filip Lukenda, born on May 1, 1943. in Barlovci, was burned with the parish house in Presnače on May 12, 1995 at age of 52. 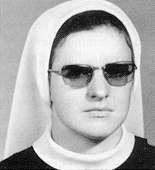 S. Nun Cecilija Grgić, born on October 22, 1952 in Dubrava, was burned with the parish house in Presnače on May 12, 1995 at age of 43. , rođena 22. X. 1952. During the war, the bishop of Banja Luka, Dr. Franjo Komarica was continuously writing and sending out invitations to Serbian officials for protection of his believers, and all other refugees. He constantly met with hundreds of Bosnian and foreign politicians, members of local police and Serbian military, and followers of other religious institutions, despite of endangering his own life. "Where are my faithful who were abducted two days ago and the large group of men from the villages of Debeljaci and Presnace who were also taken", wrote Komarica in his letter to the government of Serbian Republic and to the mayor of Banja Luka, Predrag Radic. 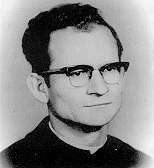 Bishop Dr. Franjo Komarici also experienced many physical abuses, and was home prisoned for seven and a half months. Read the entire letter of Dr. Franjo Komarica here. In 1991, in the region of Banja Luka lived 80,000 Catholics, and today in this region live only 6,500 catholic believers. 412 Catholic civilians were killed in their homes during the war, and many others are still missing. Many of them lost their homes and their belongings during the years of 1992 and 1993. More information on Banja Luka's ethnic cleansing during the civil war can be obtained here in Croatian language. On November 21, 1995, the war in Bosnia and Herzegovina came to an end. The Dayton Agreement (Ohio, USA) was signed and it divided Bosnia and Herzegovina in two parts, Serbian Republic and Federation of Bosnia and Herzegovina. Debeljaci are now a part of Serbian Republic. After the war, in Debeljaci stayed only 90 Catholics, other 1,470 escaped and fled to Croatia and abroad to other countries. Only 160 people returned to their homes in Debeljaci since 1995. All other houses are populated by the Serbian refugees, but the law of today approves the return of houses to the lawful owner. Organizations from Austria, Germany, Italy and many other European countries helped to build the new church and to renovate the parish house. Priest Zvonko Brezovski, Caritas and ADEF built the Home for the Young, and they also orginized the folklore group of Debeljaci. Nuns from Steinerkirchen, Austria, Sr. Gottlieb and Sr. Hildburg Radinger are performing administrative duties and they are also helping the people of Presnace since October, 2001. Sr. Hildburg Radinger pointed out that "unemployment" is the biggest problem in the region of Debeljaci. From May 1999 till March 2002, the AGEF organization (AG Entwicklung und Fachkrafte -Corporation for Development and Specialization) from Berlin, Germany, helped many young people from district of Banja Luka by providing practical training in many fields. "A Chance for Young" was the name of the project that made it possible for 354 young ones to gain basic computer skills, telephone skills in English, and many other useful skills and abilities. "Only the young ones can overcome the hate that you still can feel here today" said Ana Vukovic, who is now working in the Center for Young and for Caritas, in a meeting with the administrators of AGEF. The church of St. Therese is rebuilt again, the parish house is renovated, and the church tower is still in the process of renovation. The height of the tower will be 24 meters, that is the age at which St. Theresa died. Her death came suddenly on September 30, 1897 in France. Her words of wisdom have a great impact and importance to forgive those who made us suffer, but we simply can not forget, and we never will: "If with love we accomplish one more thing today than yesterday - we are truthfully great people. We will be happy people." Pope John Paul the II called on Sunday, June 22, 2003, people of Bosnia and Herzegovina to forgive each other and he also gave them hope that they will be a part of European Union with "advancement, freedom and peace". During the one day visit, pope preached the holly mass in front of the monastery of Petricevac. The mass was 3 hours long and during this time the pope stated in Bosnian language: "From this city, marked in the course of history by so much suffering and bloodshed, I ask Almighty God to have mercy on the sins committed against humanity, human dignity and freedom also by the children of the Catholic Church." The pope also beatified Ivan Merz, born on December 16, 1896 in Banja Luka. He was a Catholic theologian who took a vow of celibacy and devoted his life to the church in the early 1900s. On May 10, 1928 he died in Zagreb. The service of beatifying attended 50,000 believers who came from all parts of Bosnia and Herzegovina, Croatia and many other countries. Ivan Merz is one of Bosnian and Croatian catholic icons, loyal son of the Catholic Church, apostle of the youth and first Bosnian Catholic on the way to sainthood. "The catholic believe is my life knowledge." - Ivan Merz. The pope was guarded by 4,000 police officers, NATO-led peacekeepers and by the European police forces, reports CNN. Read more here. During the war the district of Banja Luka changed its demographic structure and its economy slowed down drastically. It is computed that today in Banja Luka every third individual is refugee or depopulated. Statistics of 1991 show that before the war the whole region of northern Bosnia and Herzegovina, including Banja Luka, had 162,000 Serbians, 180,000 Croats, and 356,000 Muslims. In April of 1995 as reported by the UN High Commission on Refugees, the region had 719,000 Serbians, 30,000 Croats, and 37,000 Muslims (Catholic World NEWS). After the Croatian Storm in August of 1995 and before the Dayton Agreement in November of 1995, Serbian government and Serbian army exiled many other Catholic and Islamic believers from this region using military force. It is recorded that today in the northern region of Bosnia and Herzegovina (now called Serbian Republic) live only 15,000 Catholics and Islamic believers. Therefore 521,000 Croatians and Muslims were ethnically cleansed. Statistics also show that 97% Catholics and Islamic locals had to leave their home towns since the beginning of the war. After the war only few of them returned to this region. Today 1,310 people of Debeljaci live abroad in a foreign country, which makes up to 85%. 90 of them stayed in Debeljaci since the beginning to the end of the war, and only 160 individuals came back home to Debeljaci and Presnače. Davor Gazic designed the map of Debeljaci by using two photos. Maps to all parts of the world can be found on MAPQUEST website , which is the greatest source for world travel directions and world maps. Some information and photos were obtained from the Banja Luka website (from the Roman Empire to the Communist Regime, including the picture of the earthquake). Graph on population of Debeljaci created Davor Gazic. Photos of the church, parish house and of the nun and the priest who died in the parish house were obtained from BK BIH website. Photo of the new priest Zvonko and the nuns was obtained from Steinerkirchen website. 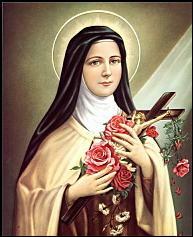 Photo of St. Theresa and more information about her can be obtained from the website of Ivan Merz. Last photo of Ivan Paul the II can be seen at Balkan Times website and you also can find out more on the pope's one day trip to Banja Luka on the same website. © Debeljaci.com® 2003. All rights reserved.